Shipping allowed to United Kingdom only. Same day dispatch if ordered before 3pm Monday - Friday. You must be logged on to use the reminder option. 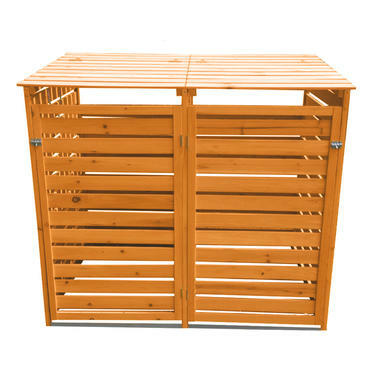 The Double Wheelie Bin Store provides easy access to up to 2 dustbins whilst creating an attractive and stylish way of hiding away your unsightly Wheelie Bins. The Double Wheelie Bin Store provides 2 lockable open/close doors with easy access lifting lids for your wheelie bins, and is made out of durable Timber for extra longevity. 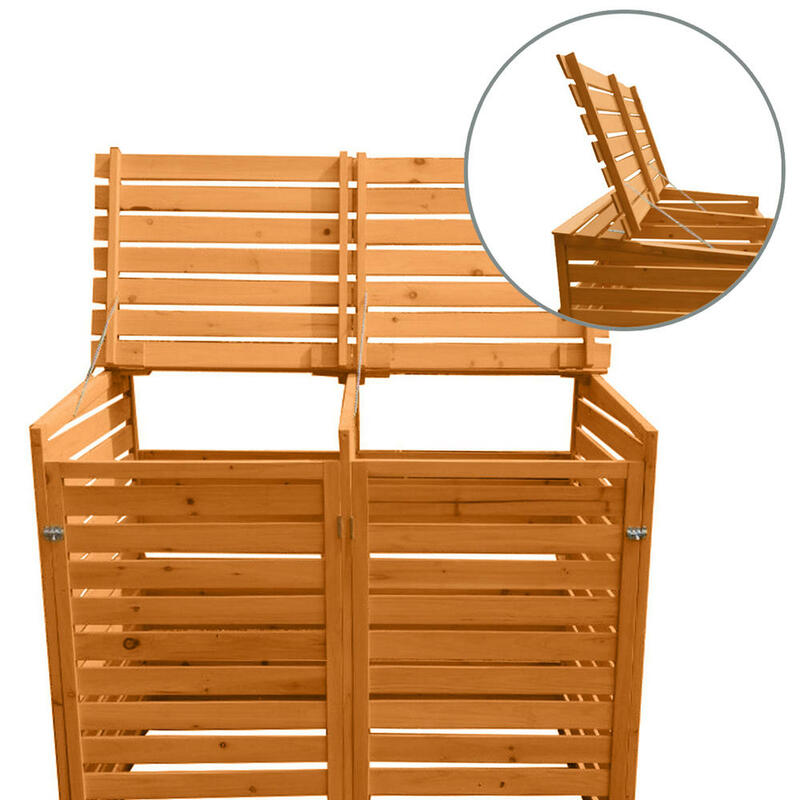 This Double Wheelie Bin Store is a timber slatted storage unit which provides plenty of ventilation to prevent bad odours, which can also be used as an outdoor cupboard for garden tools or even logs for the fire place. With over 75 years combined experience in ponds, water gardens, garden ponds and coldwater aquatics, Aquatix-2u know from first-hand experience the best products and systems in aquatics. We stock pond and aquarium supplies from the most reputable companies, including; Blagdon, Hozelock Cyprio, Cloverleaf, Fish Mate, Nishikoi, Pisces, Tetra, NT Laboratories, Interpet, TMC, Oase and many more... 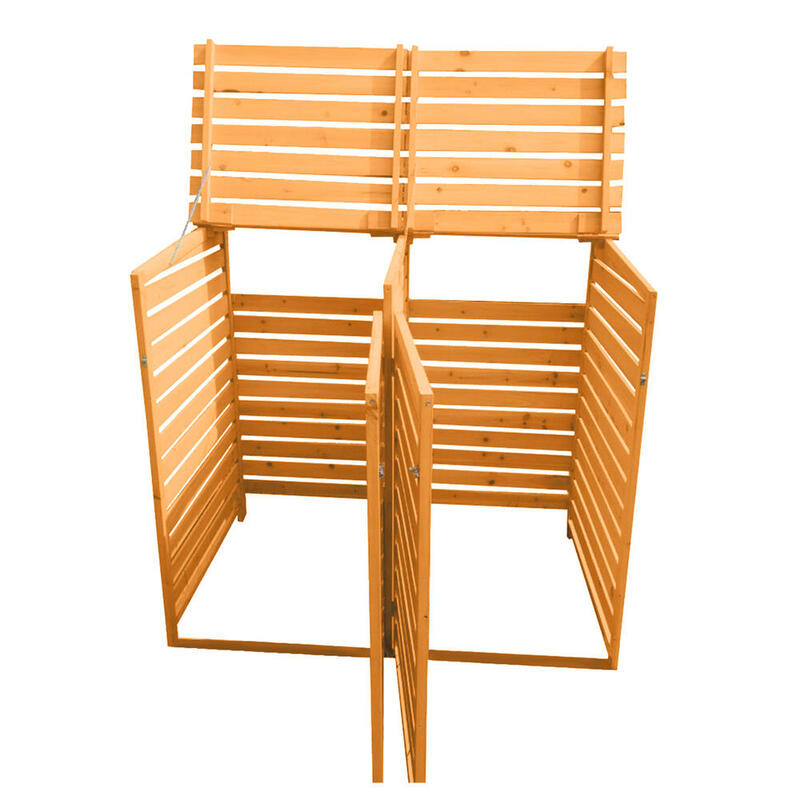 If you are unsure what aquarium, pond or water garden equipment you require, give us a call on 01473 730520 and we will gladly help. 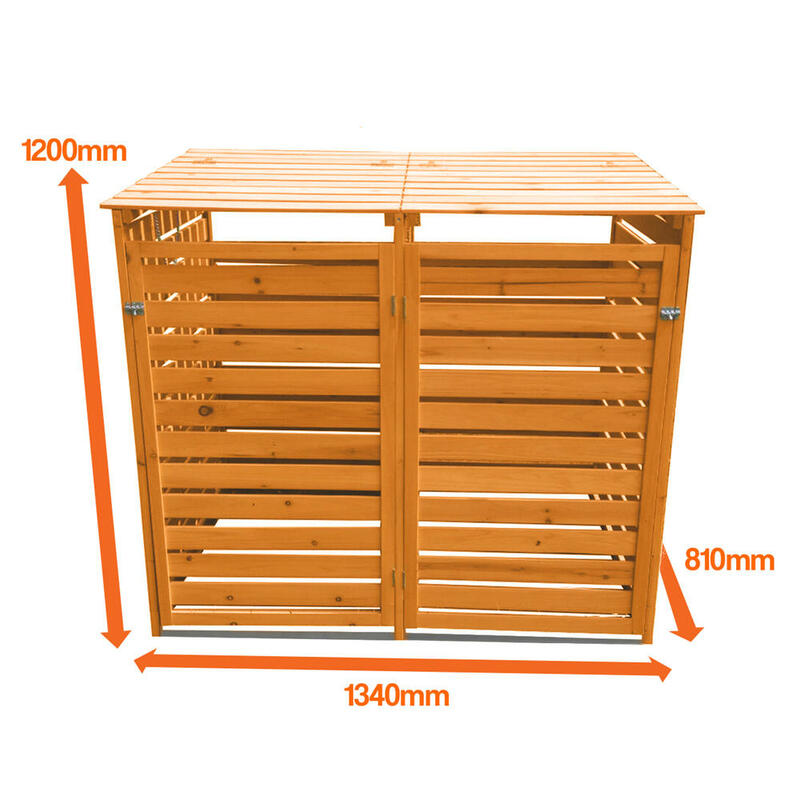 Furthermore we offer FREE NEXT DAY DELIVERY on all orders over £50.00 (placed by 2pm, except where stated) to most areas of mainland UK, for other parts of the UK call for a quote.